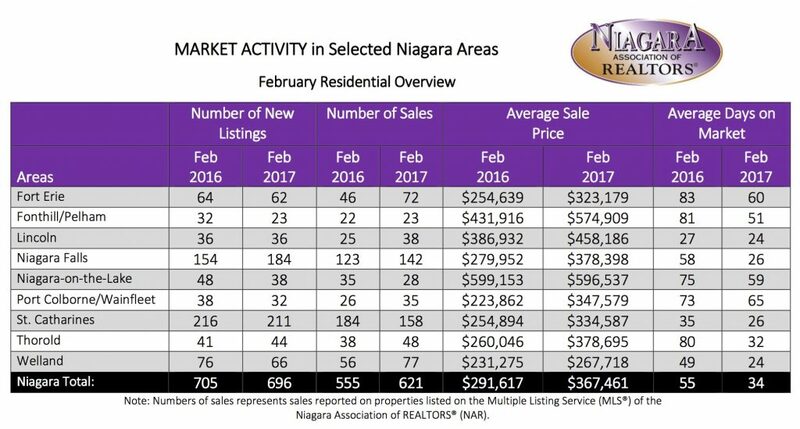 March 9th, 2017, Niagara - The Niagara Association of REALTORS® (NAR) reported 700 property sales processed through the NAR Multiple Listing Service (MLS®) system in February. This represents a 15% increase in sales over February of last year. The residential average sale price of $367,461 was 26.01% higher than last February. The average days on market decreased from 55 to 34 in the residential freehold market and decreased from 87 to 54 in the condominium market. The total number of new listings has decreased slightly from February last year to February of this year, coupled with the total number of sales increasing in the same period contributes dramatically as one of the main factors of a seller's market . (Supply and Demand). 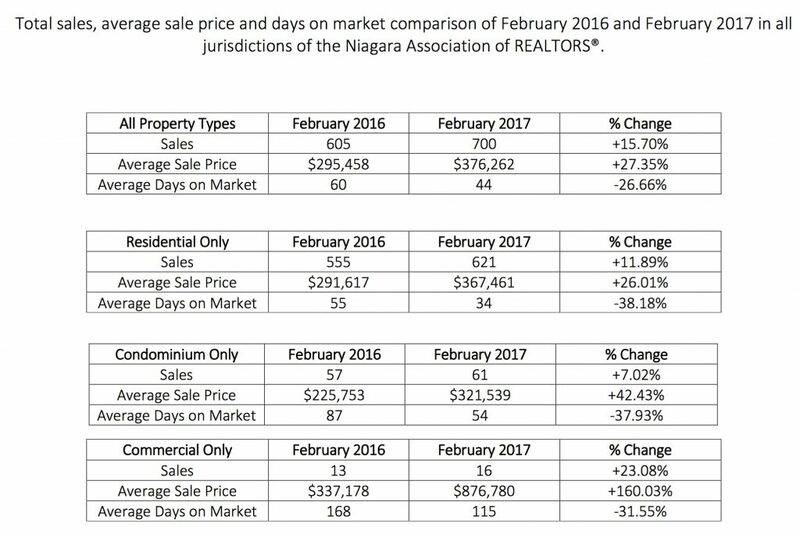 A significant driver for the increasing demand is the affordability in the Niagara Region. The average price of $367,461 in Niagara as compared to the average price for Ontario as a whole of $556,631 makes Niagara a very attractive choice for homeownership. Please refer to the charts below for residential market activity in select areas in NAR’s jurisdiction.